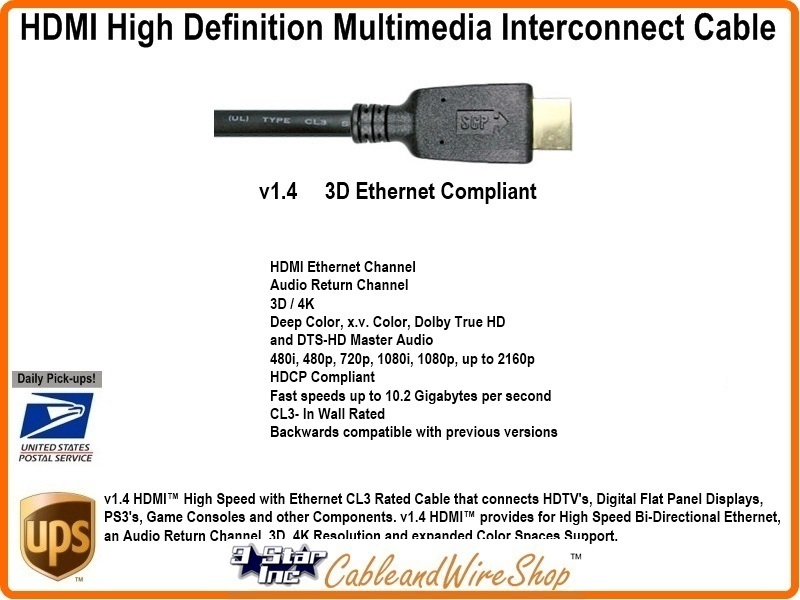 Is 3 Feet of version 1.4 HDMI Cable that connects HDTV's, Digital Flat Panel Displays, PS3's, Game Consoles and other Components. v1.4 HDMI provides for High Speed Bi-Directional Ethernet, an Audio Return Channel, 3D, 4K Resolution and expanded Color Spaces Support. Note: So many HDMI cables out there! And at such good prices also! What's the difference? Well, look for ratings for use and spec.s covering the Formats and Speeds associat3ed with use of the cable you intend to buy, if no spec sheets are available, then i submit you may be getting what you pay for!